Piano Tiles (Don’t Tap the White Tile) is a free app, available on iTunes and Google Play. The name of the game is pretty self-explanatory. As black and white tiles fall down the screen, your job is to tap the black tiles only. The black tiles will make the sounds of music notes as you tap them. 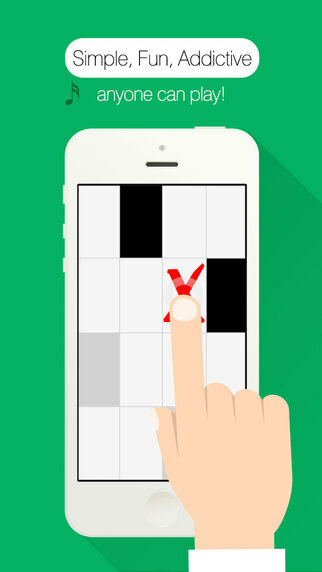 The faster you can play without hitting a white tile, the better. I’d never heard of the game until I saw this article in one of my Flipboard magazines, featuring a pretty amazing setup invented to “beat” the game like no human would ever be able to do. To be perfectly honest, the video pretty much discouraged me from ever even trying to play the game – at least not until I get some bionic eyes and fingers.